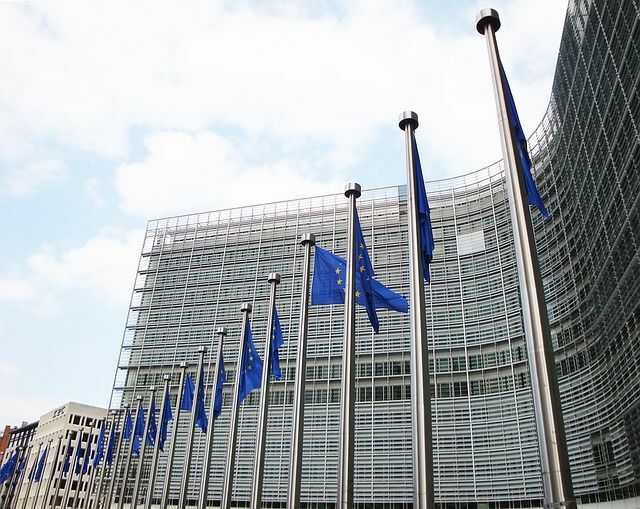 EU negotiators have been busy with employment matters recently, launching the European Labour Authority and agreeing on the details of a new directive on work life balance. Another agreement was reached very recently on a new directive on transparent and predictable working conditions, the draft of which was published by the Commission in December 2017. This directive, together with the one on work life balance and the launch of a new authority, is part of the wider European pillar of social rights initiative, which has been high on Juncker’s Commission agenda. It is also a success for the Romanian presidency which helped to finalise these three new instruments in a few weeks’ time ! The directive on transparent and predictable working conditions will replace the so-called “written statement directive” from 1991, which required employers to communicate a number of information to employees, in writing. The new text aims at ‘modernising European labour law and adjusting it to the new world of work’ as the EU commissioner for employment and social affairs puts it. ‘Today’s economy needs flexible labour contracts but flexibility must be combined with minimum protection’. The directive, which now needs formal approval by the European Parliament and by the Council, updates existing information requirements to workers and further creates new minimum standards to ensure all workers benefit from more predictability and clarity as regards their working conditions. The new set of rules will apply to every worker in the EU, “who has an employment contract or employment relationship as defined by the law, collective agreements or practice in force in each Member State with consideration to the case-law of the Court of Justice of the European Union”. The Commission wished to include the CJEU’s own definition of a worker into the directive, but this was rejected in favour of the more traditional approach, namely that the definition of a worker is a matter for member states to decide (promising to take the CJEU case law into account when doing so). The same approach was taken for the new directive on working life balance. So who will be effectively in scope ? The new directive will apply to workers as defined by local laws e.g. those having an open ended or a fixed term contract, full time or part time and more. According to the directive’s recitals, domestic workers, on-demand workers, intermittent workers, voucher based-workers, platform workers, trainees and apprentices could fall within scope of this directive provided that they fulfill the above criteria. Genuinely self-employed persons will not be in scope (but bogus self-employed will). Member States will be allowed to exclude from the scope those who have an employment relationship with predetermined and actual time worked equal to or less than 3 hours per week on average (against 8 hours currently). But zero hours contracts will remain in scope as the exclusion is not possible when there is no guaranteed amount of work predetermined. The new directive confirms the existing type of information to be communicated in writing (specification and place of work, starting date, paid leave, notice period, working time details etc.) and adds a few items to the list (overtime compensation, training offered by the employer, probation if any, etc). It is also states that the information can be shared electronically, which is good news ! Next to these information rights, the directive is creating a number of new material rights at EU level such as a limit to the length of probationary periods (6 months, with some exceptions possible), a ban on exclusivity clauses, a right to predictability for those workers with variable working schedules (and the related right to refuse calls to work if outside of what has been announced or to be compensated in case of last minute cancellation by the employer), the right to request a more stable employment (with an obligation on employers to send a justified written answer) and the right to cost-free mandatory training (which should count as working time and possibly take place during working hours). The impact of the directive will vary across member states, depending on the current local rules. The directive will add to the administrative burdens for companies but should not hinder their ability to implement flexible working arrangements and/or to make use of new forms of work. Member states will have 3 years to implement the directive. New material rights will apply to all employment relationships from the day of the implementation. New information rights will apply to new relationships only except if the worker already employed at the date of the implementation is asking for the new information to be shared.